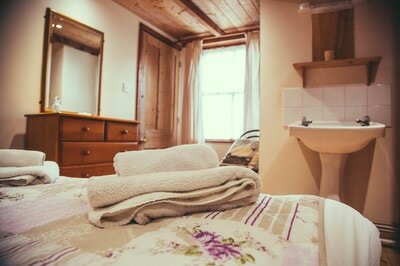 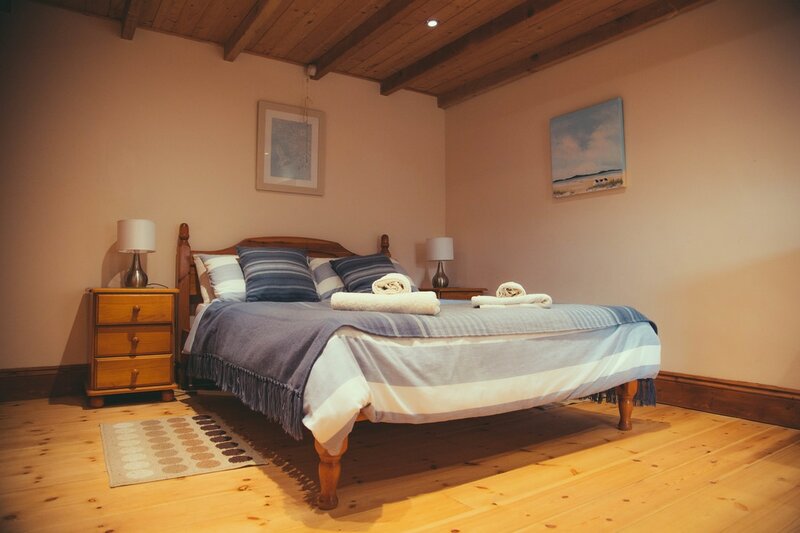 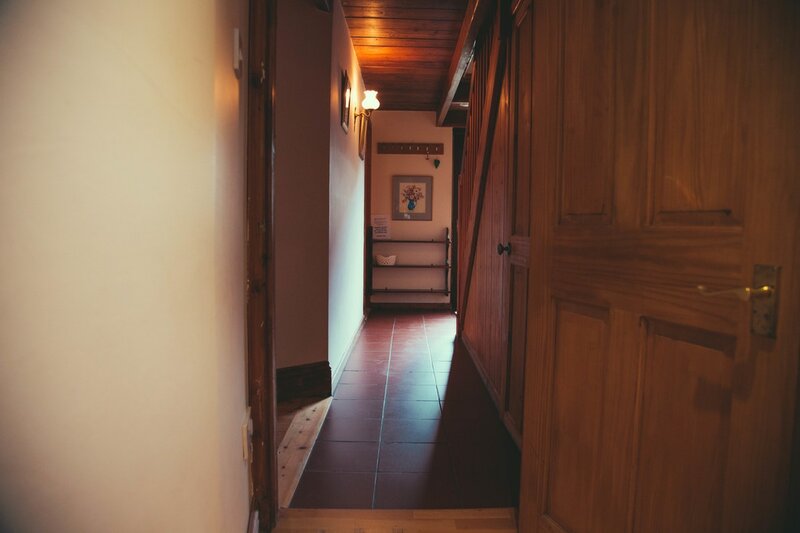 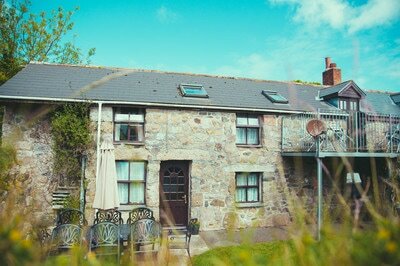 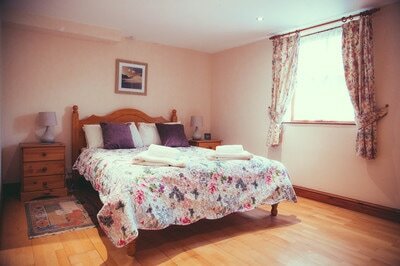 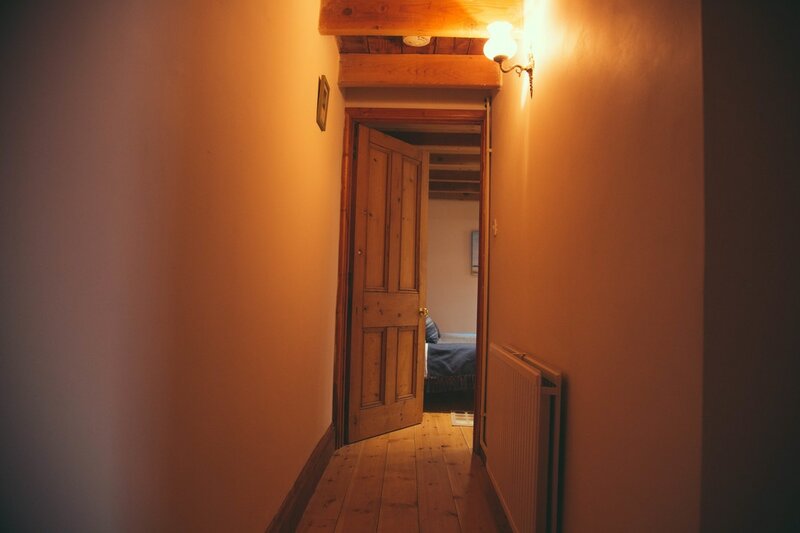 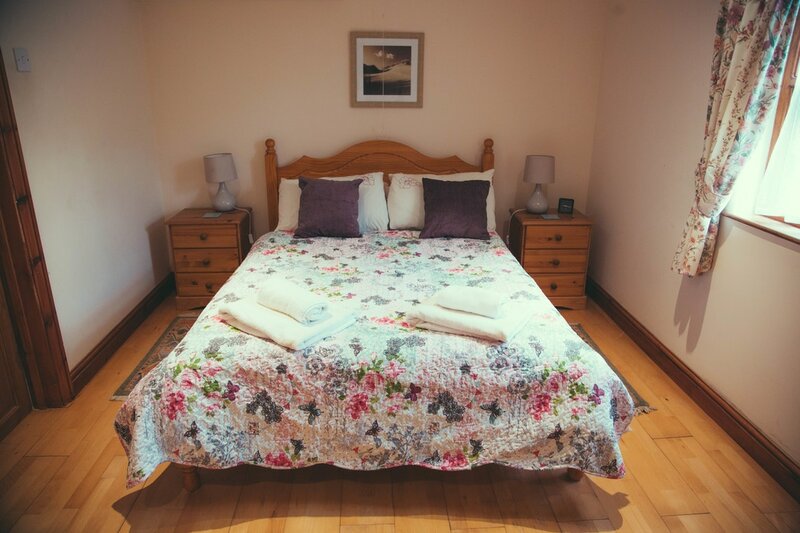 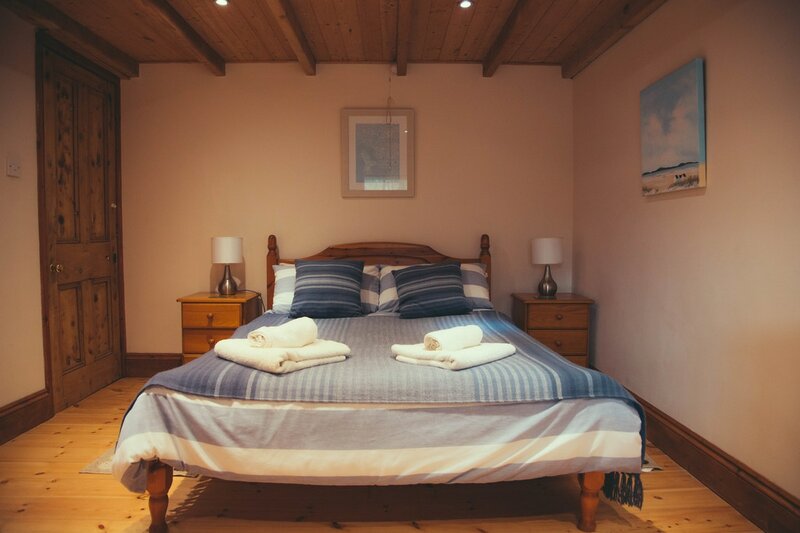 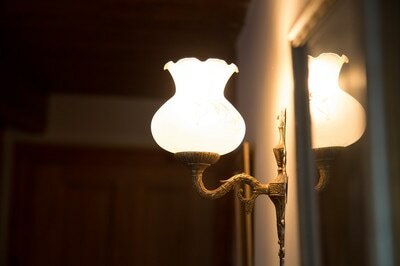 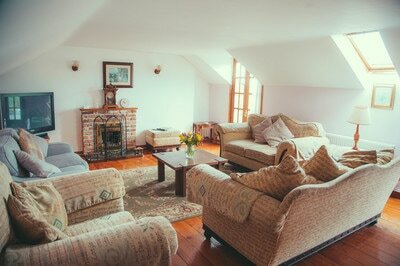 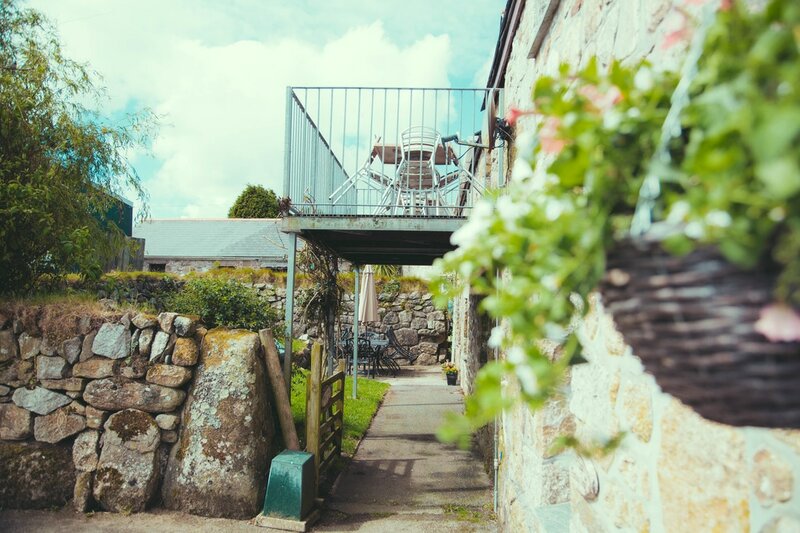 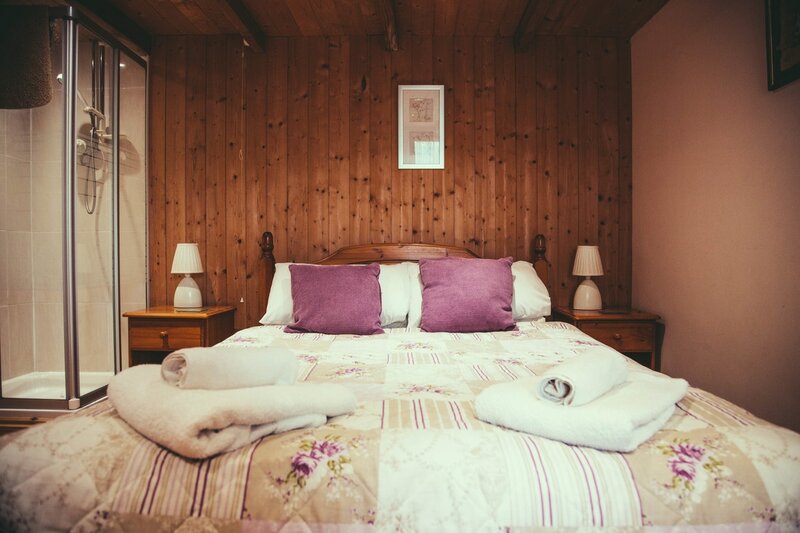 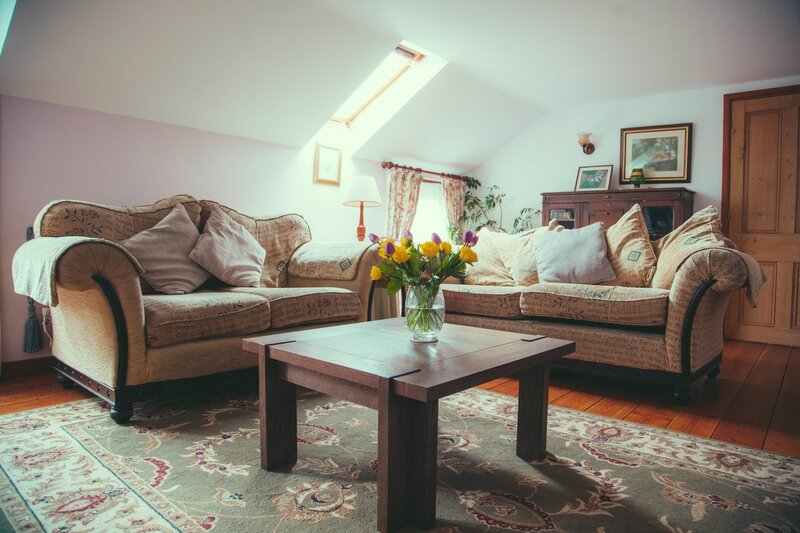 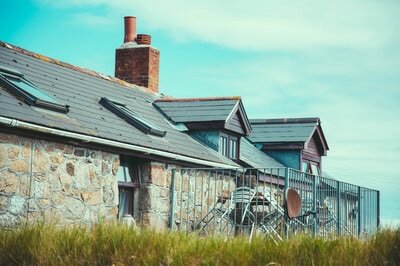 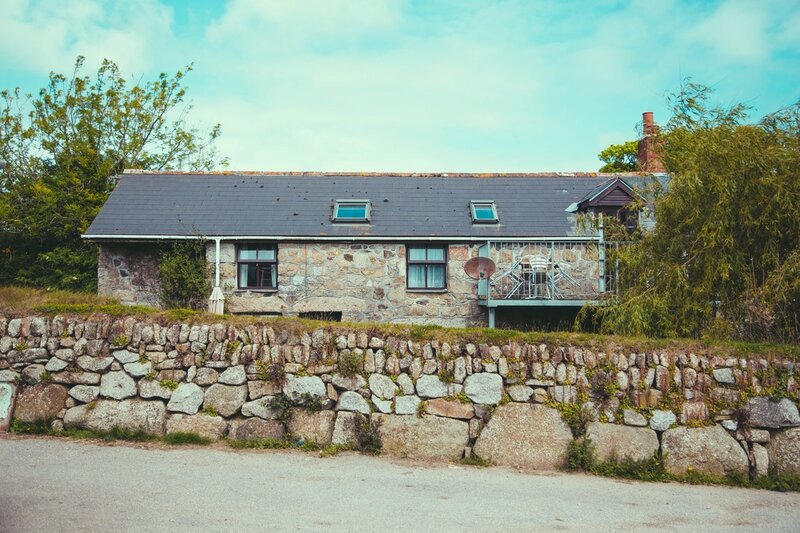 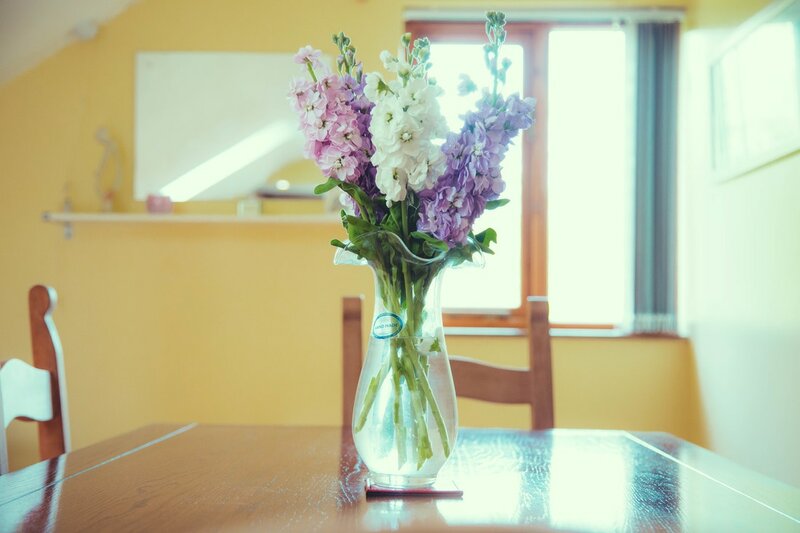 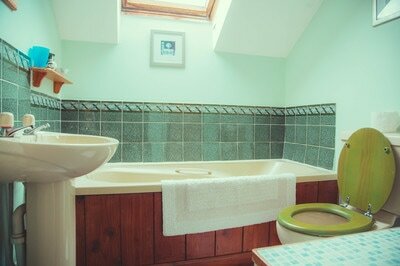 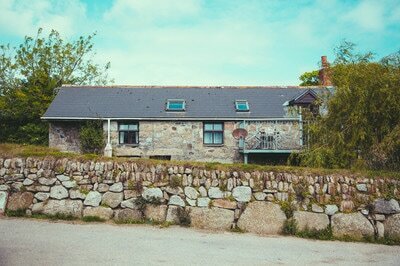 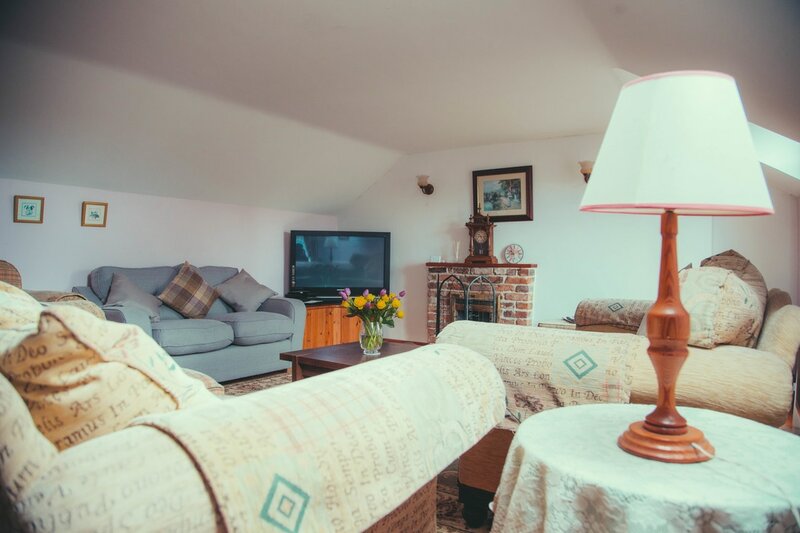 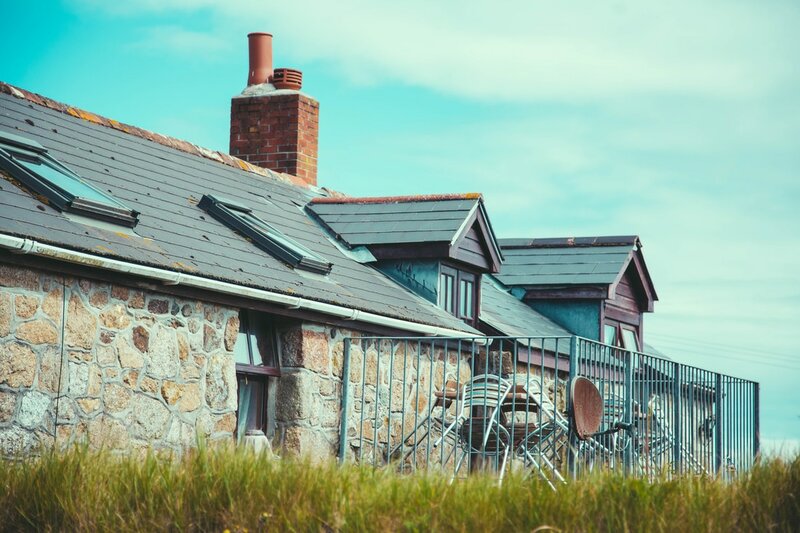 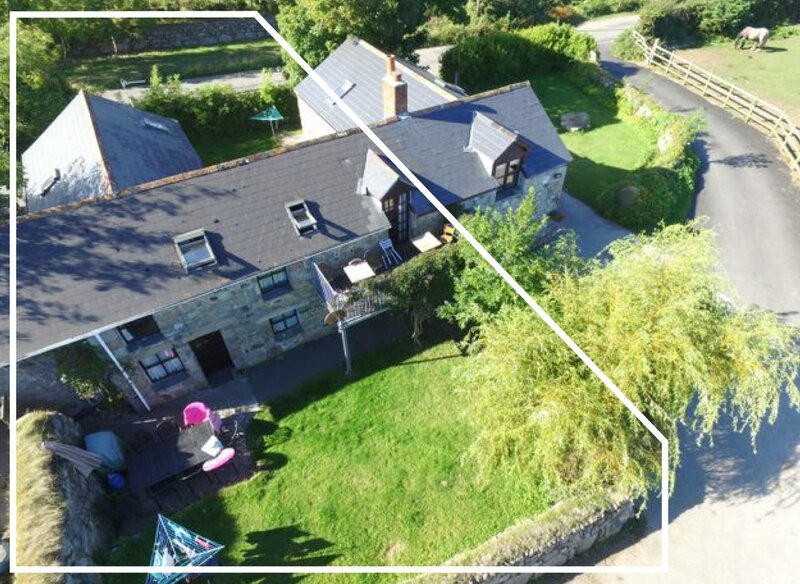 The Cottage is a surprisingly spacious 4 bedroomed granite cottage. 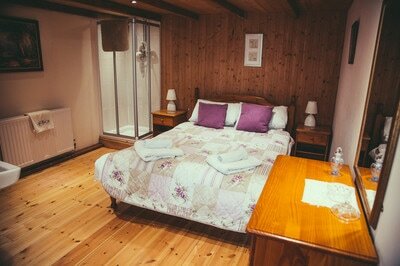 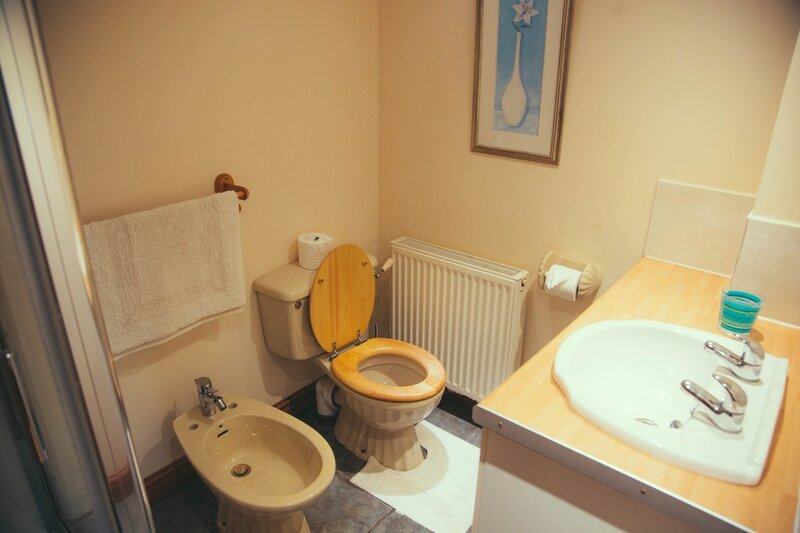 It consists of three large double bedrooms, one en-suite, one with shower and hand basin. 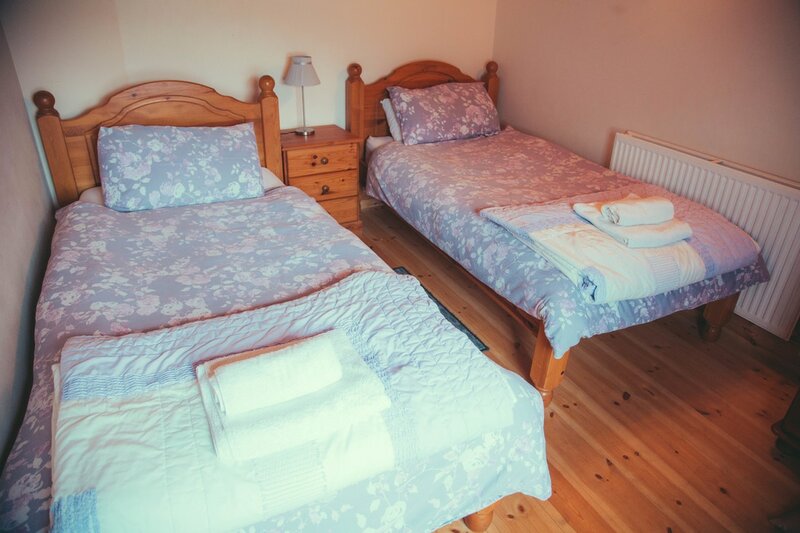 The 4th is a twin bedroom. All are situated on the ground floor with seperate WC. 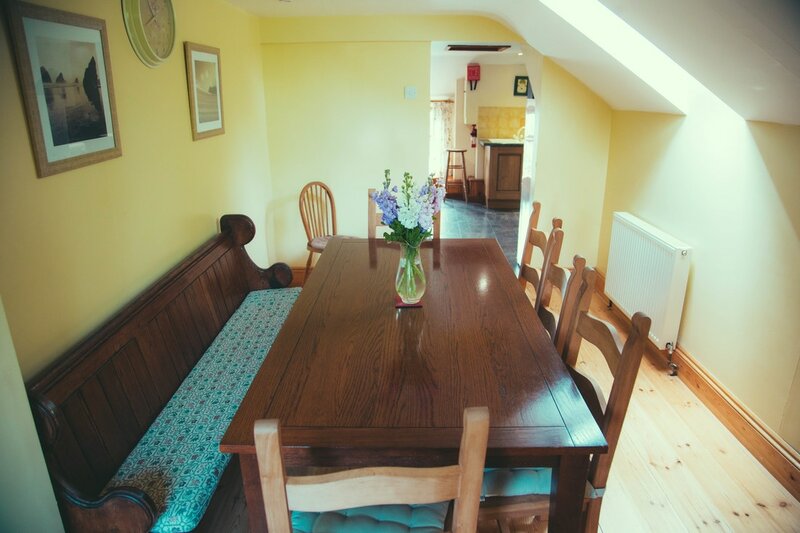 Pine wooden stairs lead to large, very light and airy living area including kitchen, dining room, bathroom large shower room and comfortable sitting room. 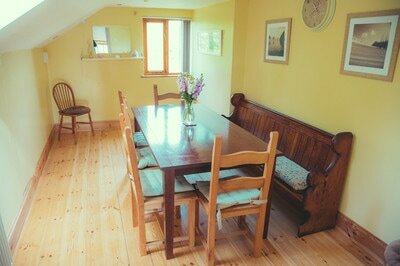 The balcony of this cosy room overlooks fields and woods and distant views to the sea. There is a secluded garden and patio area. 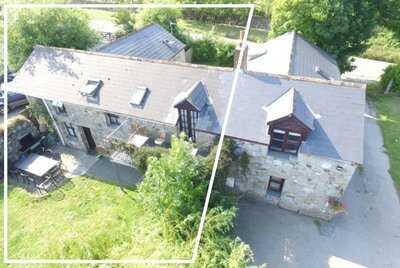 Ample parking just outside the property. Master Bedroom with pine double bed, oak flooring and en-suite bathroom.